There's magic in the CASLLS...introducing our electronic version! Many professionals using the Cottage Acquisition Scales for Listening, Language, and Speech (CASLLS) have asked, “When are you going to create an electronic version of the CASLLS?” We have always responded with, “In the future!” Well, the future is NOW! 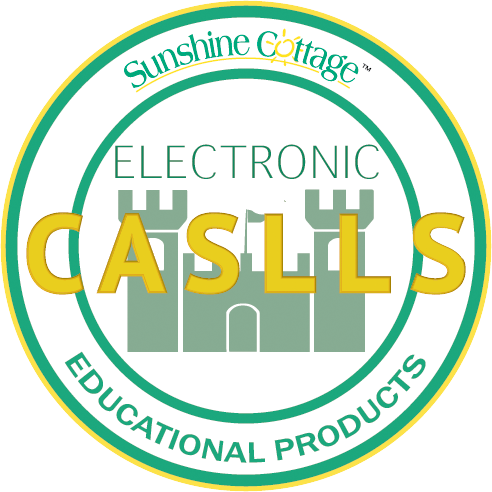 We are glad to announce that Electronic CASLLS (eCASLLS) are available for purchase through our website, www.ecaslls.com. The eCASLLS is a remarkable product! For information regarding eCASLLS, contact Cindy Escobedo, Director of Educational Resources, at 210-569-6009. The eCASLLS contain the same structures as the paper CASLLS; however, the format of the eCASLLS allows professionals to view and work with segments of the CASLLS rather than the entire document. 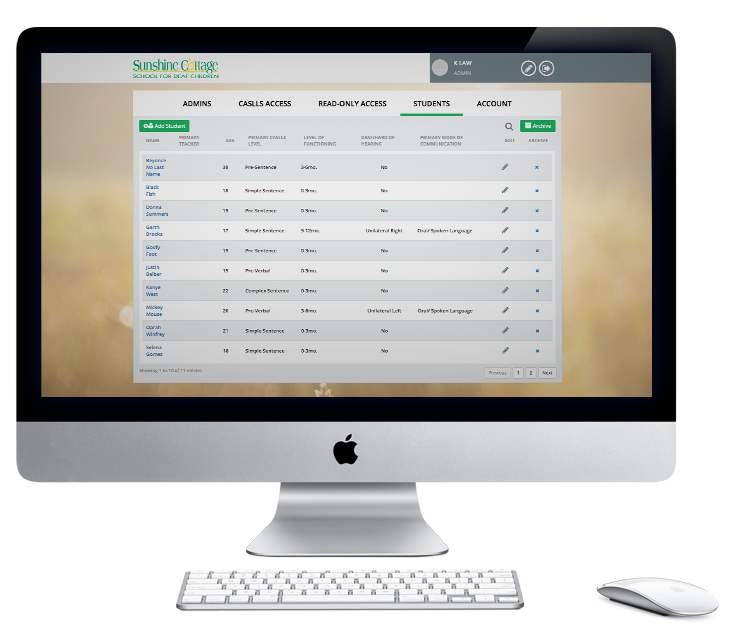 Just click on a CASLLS, determine the domain you want to view, and begin inputting data. Data recorded on the eCASLLS is stored and a CASLLS functioning level can be determined. Goals can be indicated and marked as they are achieved. 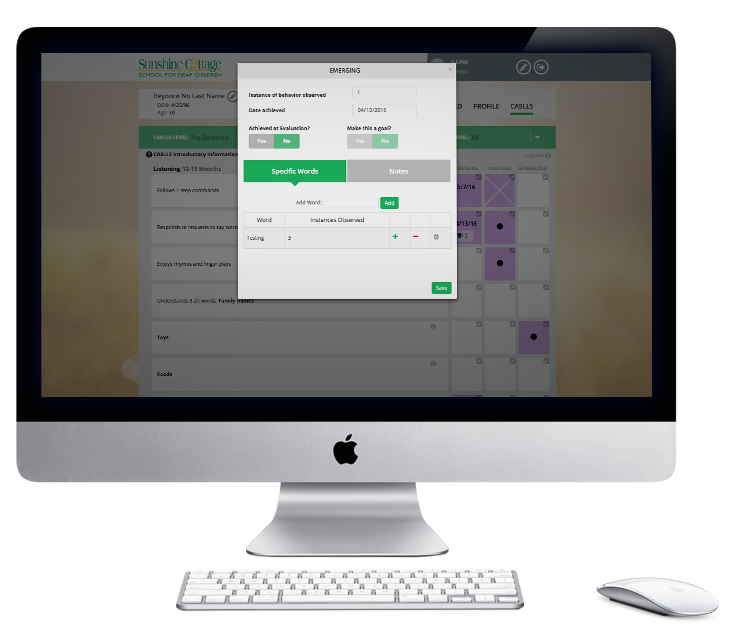 Additionally, eCASLLS can be printed at any time and information can be shared with caregivers and other professionals. This feature will allow professionals working with the same student to assess and record data on any of the language CASLLS: Pre-Verbal, PreSentence, Simple Sentence, and Complex Sentence, at any given time. The eCASLLS allows for collaboration amongst professionals and caregivers. The Electronic CASLLS (eCASLLS) contain three resources in one. Every CASLLS and every structure contained within each CASLLS is provided. For easy referencing, an explanation and simple activities to elicit structures are provided as well. When using the Speech CASLLS, an Informal Speech Evaluation, has been embedded. Speech phonemes can be assessed on the spot and goals can be generated. Our new Speech That Works App can be used exclusively or in combination with other speech resources to elicit/master any phoneme requiring work. Contact us for custom pricing beyond 750 active students.